Hemp-derived cannabidiol contains less than 0.3% THC, the psychoactive ingredient associated with marijuana, and is often used to treat various medical conditions. Since more people are aware of the product and it can be sold in most states and online, this industry is exploding. According to a new report by Brightfield Group, hemp CBD sales have already hit $170 million in 2016 and the market will crack the billion-dollar mark in just three years. This is why a lot of companies are currently operating in the space, so many that Bethany Gomez, the Director of Research at Brightfield Group commented that “everyone is trying to do hemp”. It can be confusing and time-consuming to point out which brands are providing high-quality products and which ones are just simply telling lies. The good news is, our review will help you make your decision a little bit easier – if you are thinking about purchasing CBD products from Hempbombs.com, read on! – Organic Hemp From European. While many companies choose to import hemp from places like South America or Asia, Hemp Bombs’ hemp is exclusively European. Europe has longer history of growing legal hemp and recognizing its therapeutic value in compare to other areas. On the other hand, the farming practices are also highly regulated and eco-friendly. There are no coats of chemicals, pesticides, or contaminants. With years of practice, research, and oversight in the industry, plus the fact that there are many producers compare to other areas, European hemp are both high in quality and reasonable in price. On the top of that, hemp is also fully endorsed in Europe. More continuing research, new growing practices, and huge investment will be poured into European hemp production in the future. – Real CBD. Hemp Bombs uses a method called Hydrocarbon Extraction to extract CBD. This means all products contains 99% pure CBD isolate and have zero THC on consumption – yes, you won’t be caught on drug tests. – In-House Manufacturing. Hemp Bombs control the final quality of every product. Moreover, this allows the company to adjust its manufacturing with demand and ship quickly. – Lab Tested Verified. The company guarantees that 10 mg of CBD is 10 mg of CBD. You can check the result here. Hemp Bombs also fortify its products with other natural ingredients to “level-up” the therapeutic effects. – Extra Value. You get more than just products at Hemp Bombs. The company’s exceptional customer service and team members are always 24/7 ready for your questions and concerns. Hemp Bombs also update the products, website, and content regularly to curate a better customer experience. Shopping time: What are the available products? All of the following you can purchase at the Hemp Bombs online store… don't forget to use our coupon code! You can get different products of Hemp Bombs at a cheaper price by choosing one of the offered bundles. These are 4 special combos to choose: Premium, Standard, Sample, and Edibles. What are the company’s best sellers? Let’s find out! – Varies in size – Hemp Bombs currently offers CBD gummies in 5, 15, 30, and 60 count packages. – A normal strength gummy contains 15 mg of CBD. 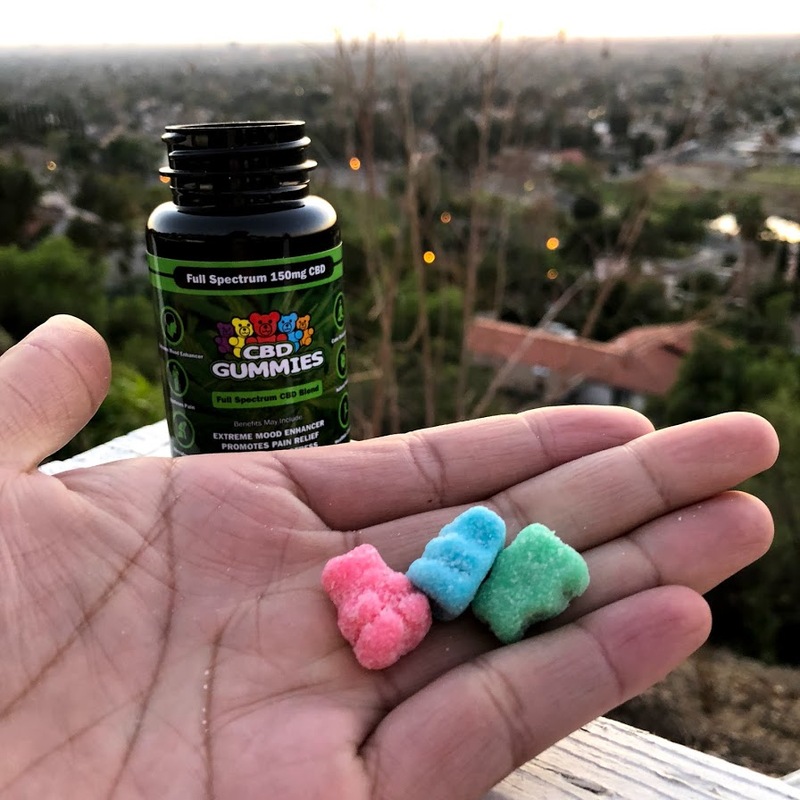 For its new line of high potency CBD Gummies, each gummy is packed with 25 mg of CBD. – Hemp Bombs’s proprietary blend is specially formulated to support the active CBD. The ingredients include tea leaf extract and passion flower, which help to further relax the user. – Suggested serving size is 1 to 2 gummies. Consumers are recommended to start with Hemp Bombs’s regular strength products before moving to high potency ones if needed. – Available in 300mg, 1000mg, 2000mg and 4000mg bottles. This super concentrate has the highest CBD dosage amongst the company’s products. Other ingredients are hemp oil, grape seed oil, and MCT oil. – One 300 mg bottle has 5 mg of CBD per serving, while one 1000 mg bottle has 16.6 mg of CBD per serving and one 2000 mg bottle has 33.3 mg of CBD per serving. Biggest of them all, the 4000 mg bottle has 66.6 mg of CBD per serving. – Each bottle contains 30 ml of CBD oil. Suggested serving size is ½ dropper, one container is enough for up to 60 servings. – Best for patients who are suffering from chronic pain, anxiety, or having problems with joints and muscles. – The premium CBD E Liquid line is currently offered in 16.5 ml (75 mg) and 60 ml (300 mg) bottles. The product is fully legal for consumption and distribution within all 50 states. Zero nicotine found. – 70/30 VG/PG split for high cloud production. Really smooth inhale. – Featuring ten different flavors: Arctic Spearmint Blast, Crisp Honeydew Melon, Wild Blueberry Jam, Whipped Marshmallow Dream, Vanilla Cupcake Swirl, Roasted Colombian Coffee, Sugar Cookie Kryptonite, Watermelon Kush, Strawberry Milk, and Glazed Chocolate Donut. – The 16.5 ml (75 mg) bottle has its CBD extracted from European Hemp 75 mg, while the 60 ml (300 mg) bottle has its CBD extracted from Industrial Hemp 300 mg. Other ingredients are Vegetable Glycerine and Propylene Glycol. – Can be added to any vape device. A 60 ml bottle can last up to a month, depending on how often you vape. Once you sign up to Hemp Bombs’s newsletter, you will get 10% off instantly on all purchase. The company runs discounts up to 50% for the subscribers pretty routinely. You can also check out Hemp Bombs’s weekly special for flash sale of certain products. Don’t forget to check its website regularly for a chance to win a CBD Standard bundle – winner drawn weekly. Currently the contest is not available, but who knows! Free shipping for all orders over $75 in the United States.